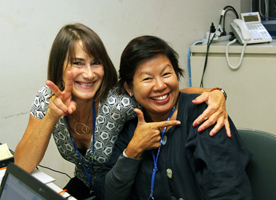 IISD Reporting Services (IISD RS) has produced daily web coverage, daily reports, and a summary and analysis from this meeting. To download our report please click below in the HTML or PDF icons. 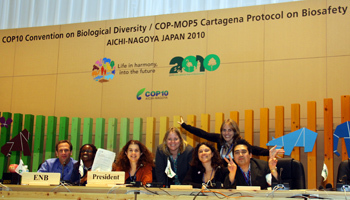 The tenth meeting of the Conference of the Parties (COP 10) to the Convention on Biological Diversity (CBD) was held from 18-29 October 2010, in Nagoya, Japan, gathering over 7,000 delegates. 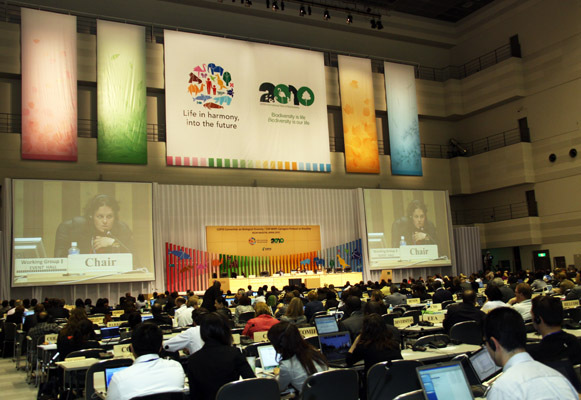 Following intense, late-night sessions marked by numerous parallel deliberations, and up-to-the minute negotiations on ABS, the strategic plan and resource mobilization strategy, an impressive “package” was adopted, making COP 10 one of the most successful meetings in the history of the Convention: the Nagoya Protocol on Access to Genetic Resources and the Fair and Equitable Sharing of Benefits Arising from their Utilization; the CBD Strategic Plan for the period 2011-2020; and a decision on activities and indicators for the implementation of the Resource Mobilization Strategy. Last but not least, the meeting: adopted a decision amounting to a de facto moratorium on geo-engineering; took a stance on the issue of synthetic biology; affirmed the role of CBD in REDD+; adopted the Tkarihwaié:ri code of ethical conduct; and established clear steps to increase cooperation among the Rio Conventions leading up to the Rio+20 Summit. 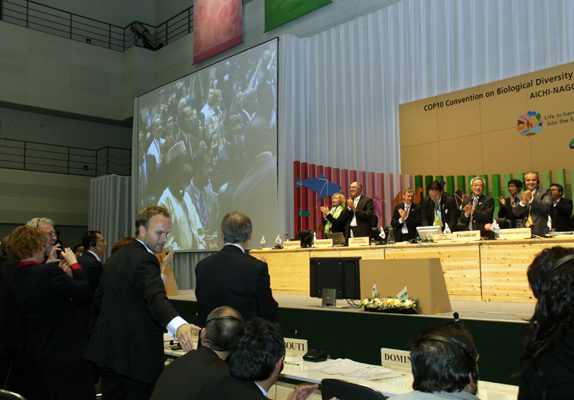 President Matsumoto gaveled COP 10 to a close at 2:59 am on Saturday, 30 October 2010. 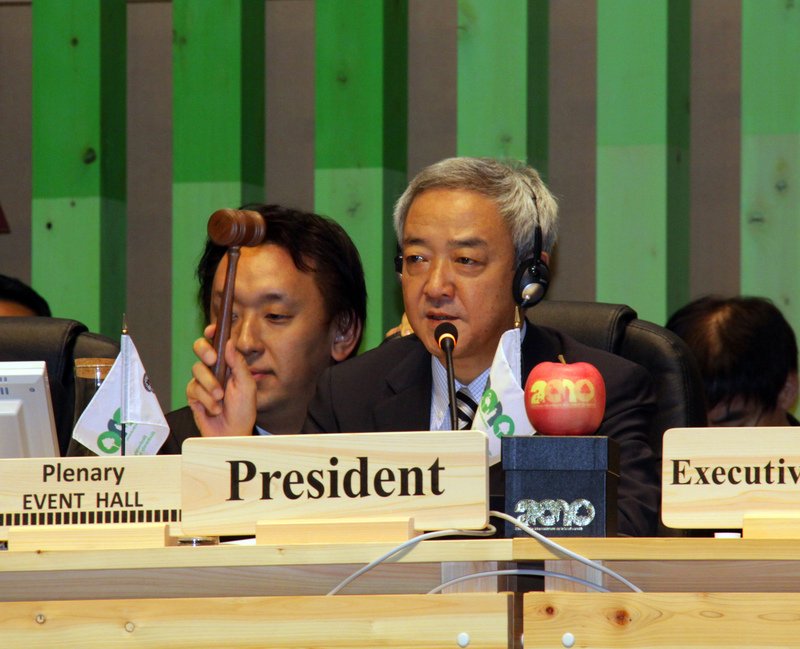 Above photo: COP President Ryu Matsumoto gaveling to adopt the historic Nagoya Protocol on Accessto Genetic Resources and the Fair and Equitable Sharing of Benefits Arising from their Utilization. COP President Ryu Matsumoto waving to the plenary after the adoption of the Nagoya Protocol. 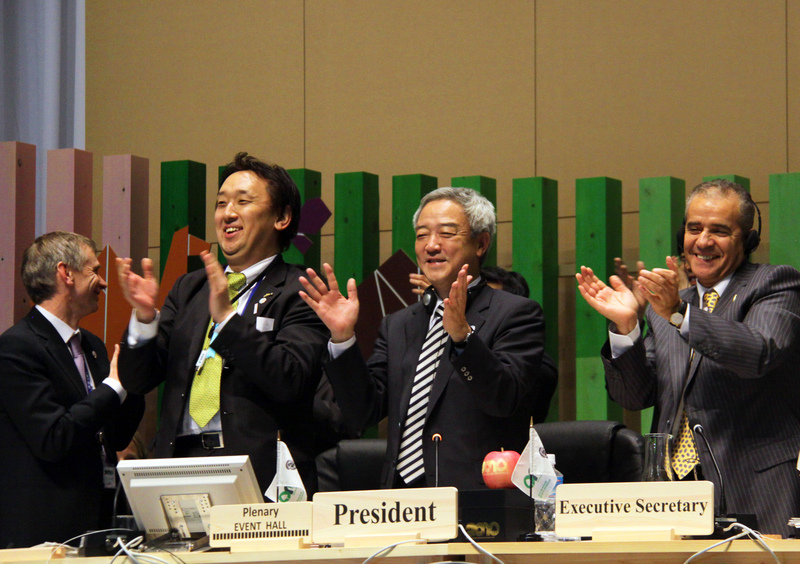 COP 10 participants gave a euphoric standing ovation upon the adoption of the Nagoya Protocol. 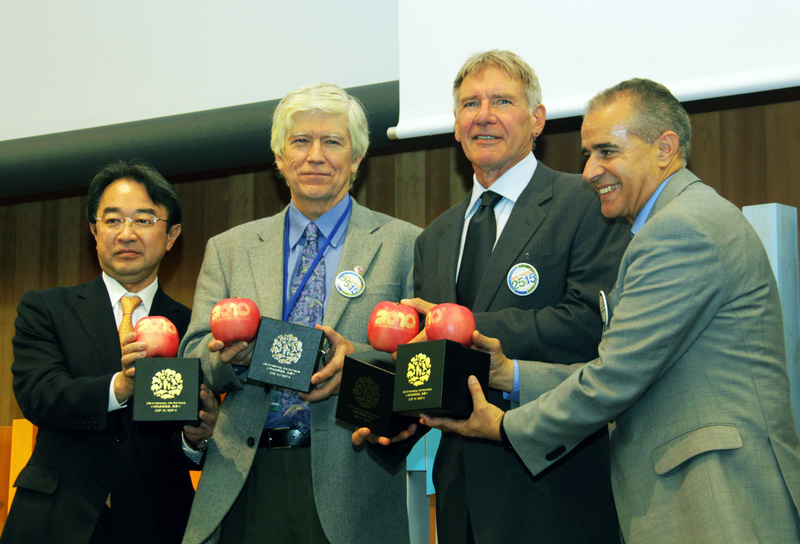 On Thursday, the high-level segment and the Working Groups continued throughout the day. Working Group I addressed climate change, biofuels, and marine biodiversity. Working Group II considered the strategic plan, Article 8(j), and the resource mobilization strategy. ABS negotiations focused on TK, utilization and derivatives, and compliance. 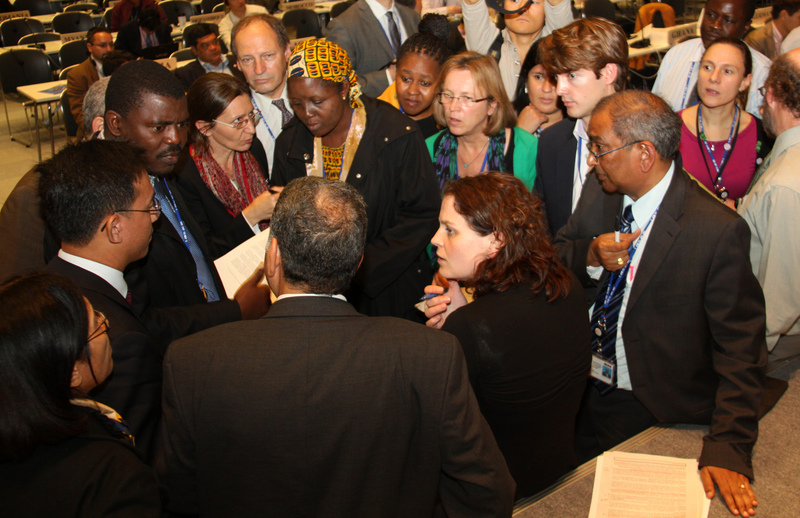 An informal ministerial consultation and an evening plenary also focused on ABS. L-R: Shoichi Kondo, Vice Minister, Ministry of Environment of Japan; Russel Mittermeier, President, Conservation International; Harrison Ford, Conservation International; and CBD Executive Secretary Ahmed Djoghlaf. The High-level Ministerial Segment convened throughout the day. Working Group I addressed draft decisions on the GTI, incentive measures, IAS, agricultural biodiversity and climate change. 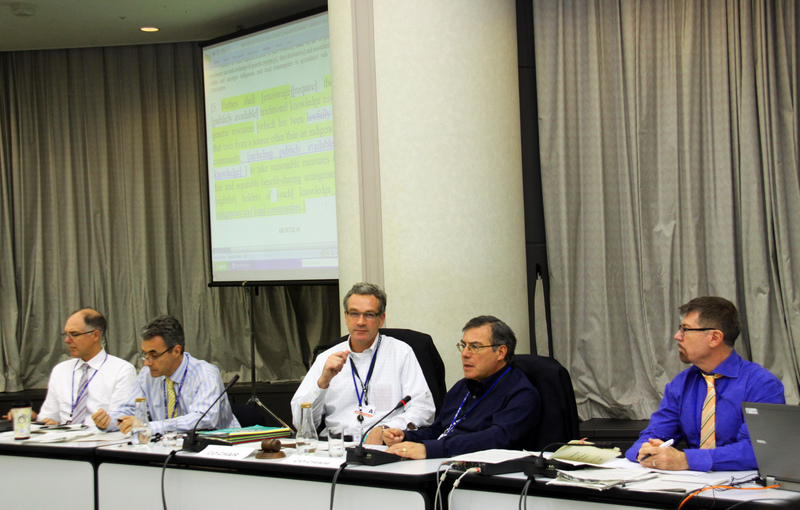 Working Group II considered draft decisions on the financial mechanism, SBSTTA effectiveness and the strategic plan. ABS negotiations focused on compliance, TK, and the draft COP decision. Several contact and informal groups met during the day and into the night. 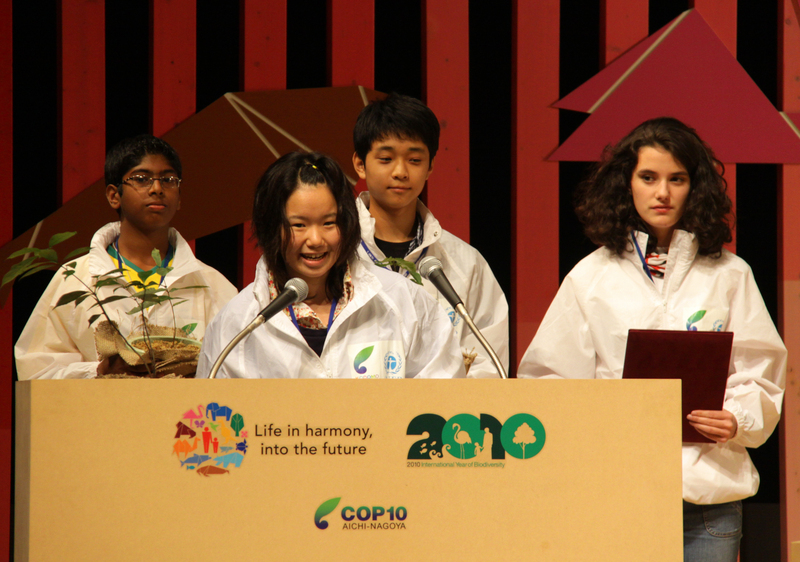 Above photo: Youth participants delivering their message to the COP 10 High-level Ministerial Segment. Working Group I addressed draft decisions on sustainable use, forest biodiversity, dry and sub-humid lands, the GTI, incentive measures, and IAS. 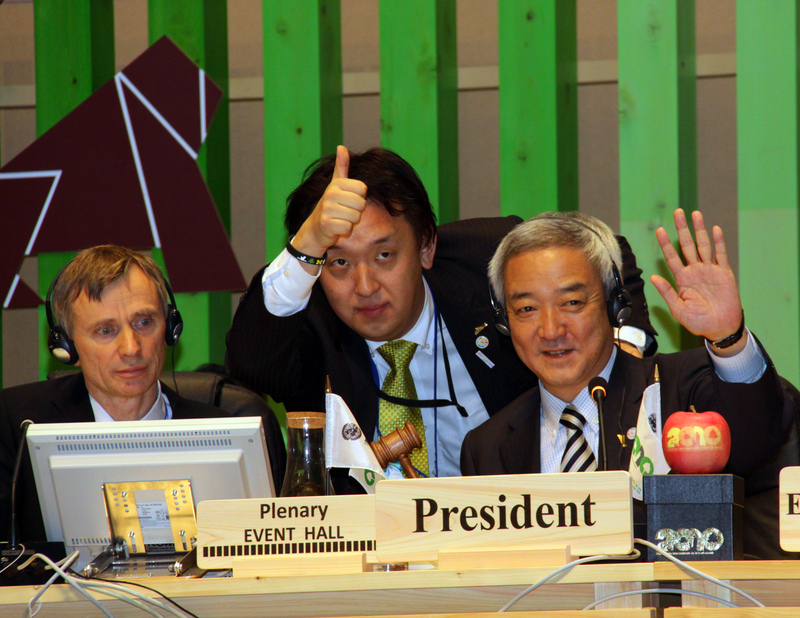 Working Group II considered draft decisions on cooperation with other convention, IPBES, and the plan of action on cities. ABS negotiations focused on compliance, TK, and the draft COP decision. An evening plenary reviewed progress. Several contact and informal groups met during the day and into the night. 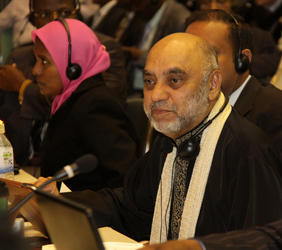 A morning plenary heard a report on weekend consultations on access and benefit-sharing (ABS). 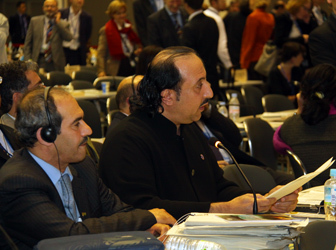 Working Groups I and II addressed draft decisions on several agenda items. 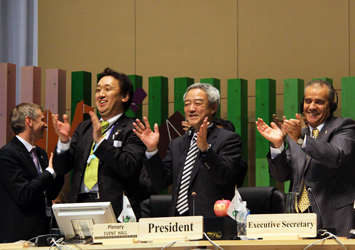 The ABS negotiations focused on compliance, the preamble and emergency situations. Several contact and informal groups met during the day and into the night. 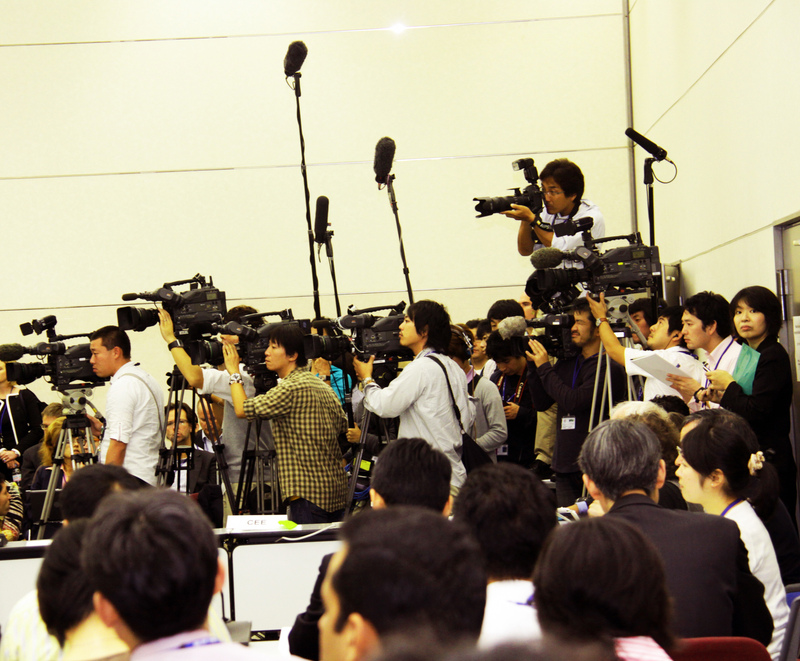 Above photo: Media frenzy at the ICG negotiations. Working Group I considered draft decisions on mountain biodiversity and inland waters. Working Group II addressed draft decisions on GBO 3, implementation of the Convention and the strategic plan, national reporting and the MYPOW. ABS negotiations focused on emergency situations, TK, compliance and the preamble. Several contact and informal groups met during the day and into the night. Above photo: Delegates from WG I in informal consultations. 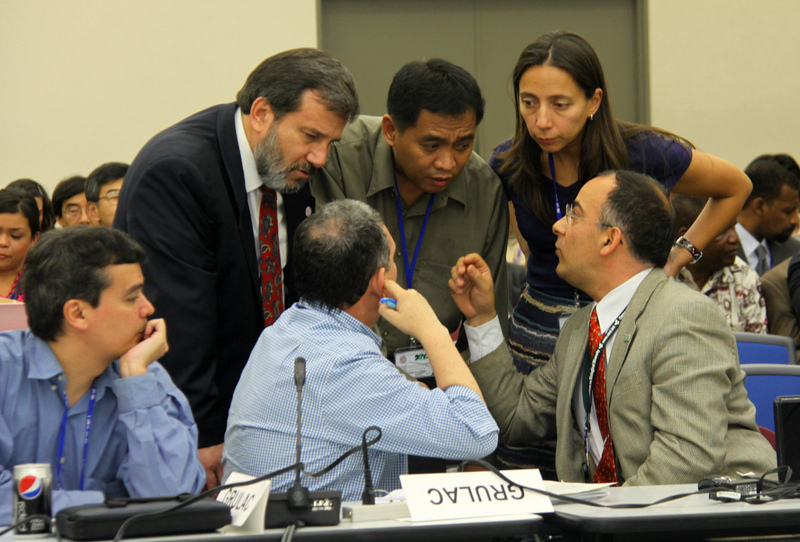 Working Group I considered draft decisions on agricultural biodiversity, biofuels, invasive alien species (IAS), the Global Taxonomy Initiative (GTI) and incentive measures. Working Group II addressed the Global Strategy for Plant Conservation (GSPC) and Article 8(j) (traditional knowledge). 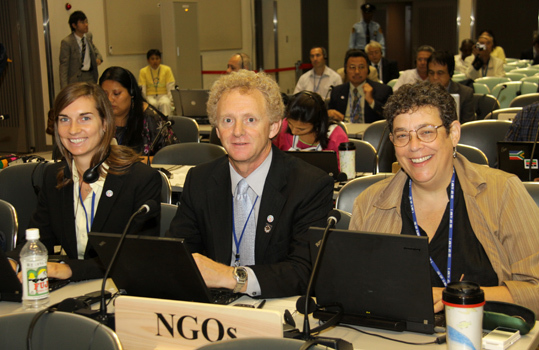 ABS negotiations focused on emergency situations, traditional knowledge, compliance and the preamble. Several contact and informal groups met during the day and into the night. Above photo: Representatives from Latin America and the Caribbean in consultation with a representative from the Asia-Pacific group. Working Group I considered draft decisions on sustainable use, climate change, dry and sub-humid lands, and forest biodiversity. 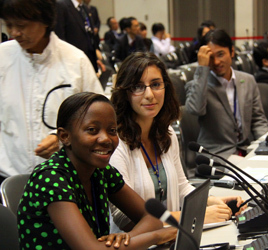 Working Group II addressed scientific and technical cooperation and the Clearing-House Mechanism (CHM), technology transfer, communication, education and public awareness (CEPA) and the International Year of Biodiversity (IYB), cooperation with other conventions and engagement of stakeholders. ABS negotiations focused on traditional knowledge, compliance, emergency situations and the relationship with other agreements. Several contact and informal groups met during the day and into the night. 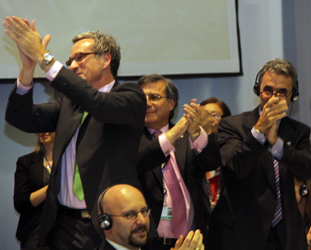 Above photo L-R: The ICG dais with Lyle Glowka, CBD Secretariat; Olivier Jalbert, CBD Secretariat; ICG Co-Chairs Timothy Hodges, Canada, and Fernando Casas, Colombia; and John Scott, CBD Secretariat. A morning plenary heard general statements from regional groups. Working Group I considered draft decisions on marine and coastal biodiversity, and protected areas; and Working Group II on operations of the Convention, the financial mechanism and the resource mobilization strategy. 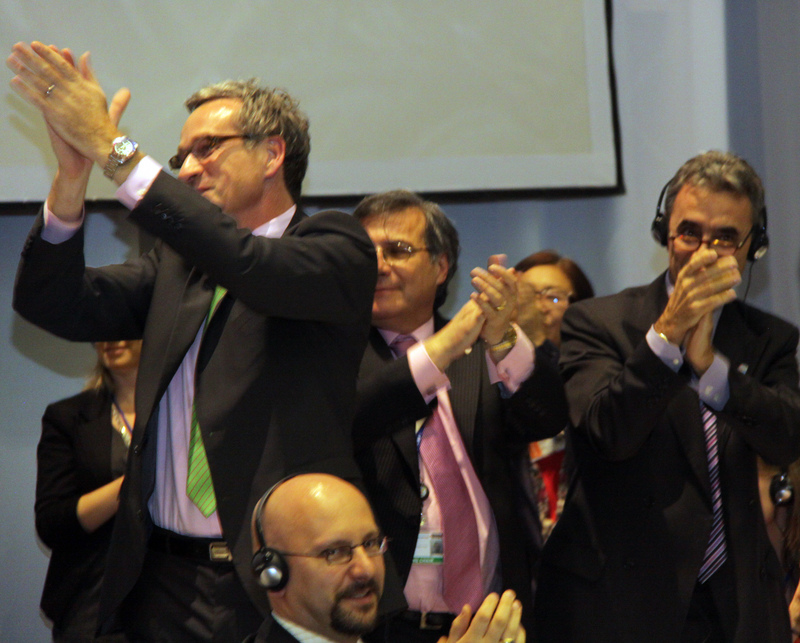 ABS negotiations focused on the relationship with other agreements, emergency situations, traditional knowledge, and compliance. Above photo: View of WG I. The tenth meeting of the Conference of the Parties to the Convention on Biological Diversity (CBD COP 10) opened today in Nagoya, Japan. The morning plenary heard opening remarks and addressed organizational issues. In the afternoon, Working Group I (WG I) considered inland waters, mountain biodiversity, and marine and coastal biodiversity. WG II addressed: progress toward the 2010 biodiversity target and the Global Biodiversity Outlook (GBO); and the revised strategic plan, biodiversity target and indicators. The Informal Consultative Group on access and benefit-sharing (ABS) met briefly and allowed for small group negotiations on compliance. 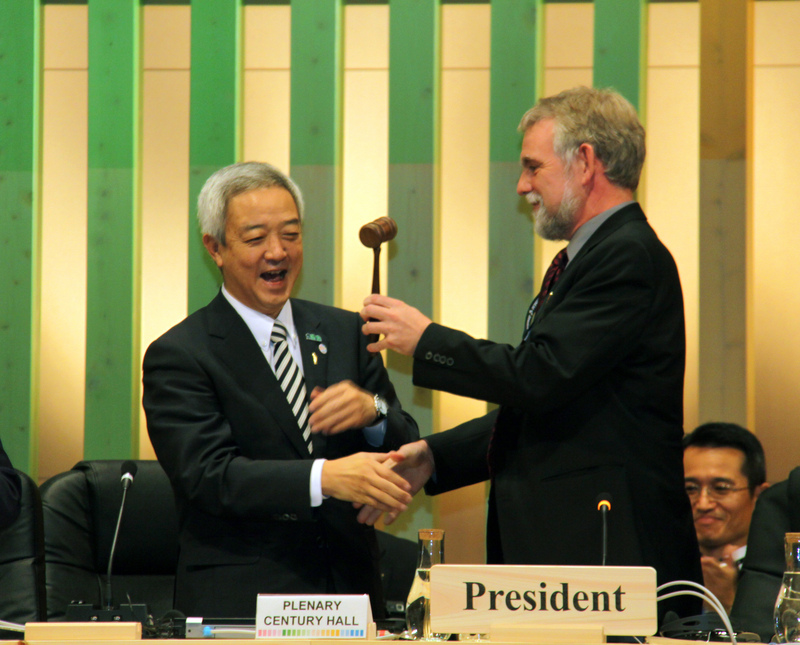 Above photo: Ryu Matsumoto, Environment Minister, Japan, receives the gavel from Jochen Flasbarth, Germany, on behalf of the COP 9 Presidency as a symbol of handing over the COP Presidency to Japan. © 2010, IISD. All rights reserved.